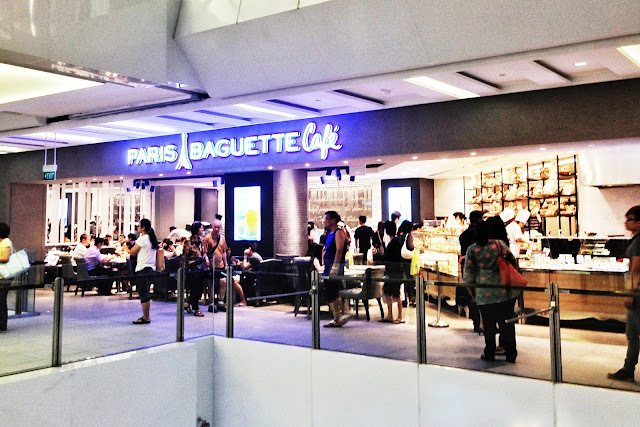 I had always wanted to try Paris Baguette. 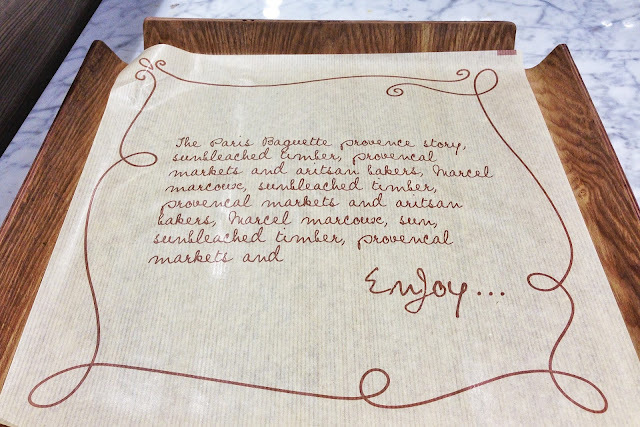 The place was one of the to-try, highlighted by misslittlepatches. 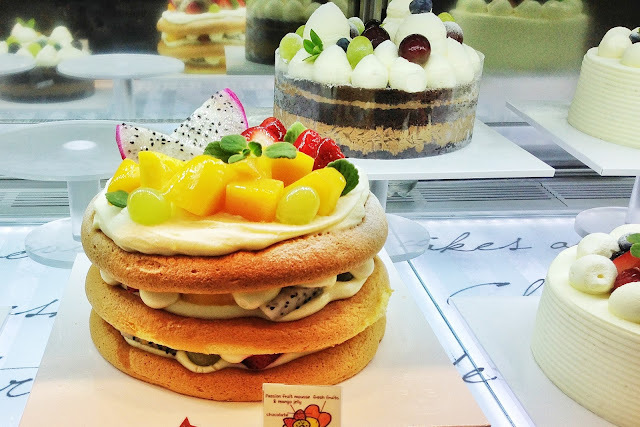 Paris Baguette is a Korean based bakery which has outlets in countries like China, California, New York, and others. 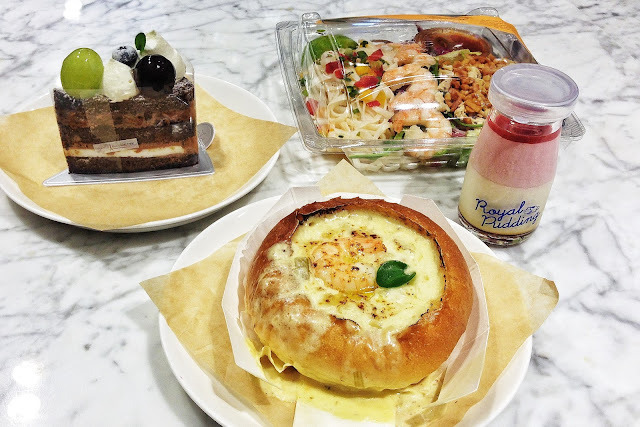 A new addition in the Singapore food industry. 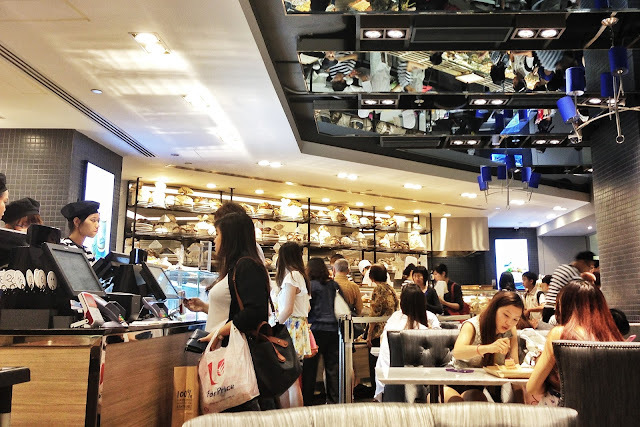 The first outlet is in Wisma Atria. Ying was bored from the home-work-home routine, so we arranged for dinner at Jem, the newest shopping mall in Jurong East. 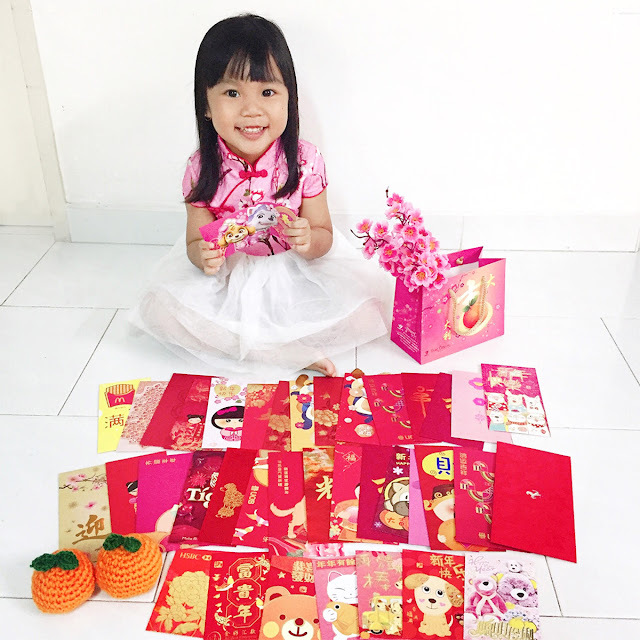 Our original aim was to shop with our birthday gift vouchers from Chyi. But first off, dinner. We were hungry. 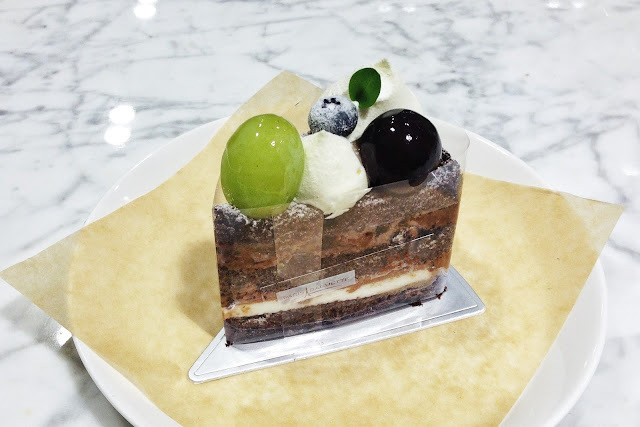 And I remembered the pretty cafe in Jem, so, we went. Luckily we managed to spot an empty table. The cafe is located on the 2nd level. From the linkway between the MRT and the mall, turn right, and you will be able to spot the cafe easily. The queue for the food is long and non-stop. Luckily it was pretty fast. Though I wasn't so lucky, as they were all too busy for me. 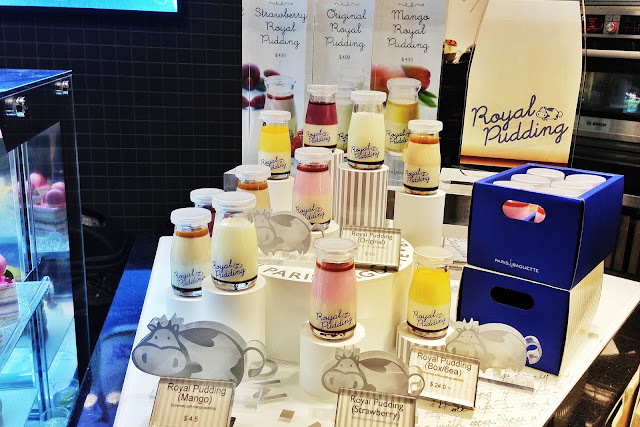 The Royal Pudding seems like a must-try. Everyone's raving about it. I wonder is it really that nice. Pretty bottles, and a little pricey too. 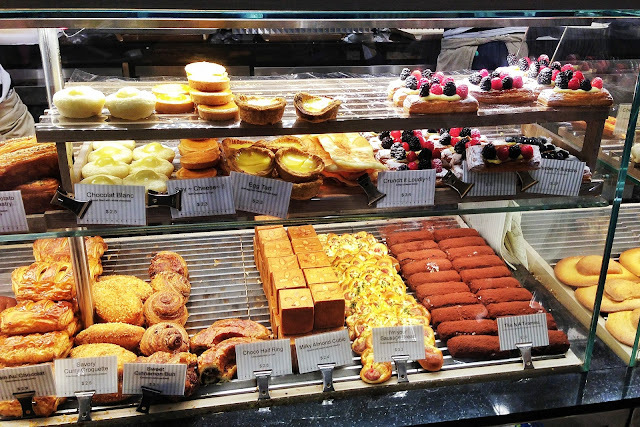 Lots of tarts, bread, pastries to choose from. Tray for eat-in. Cool eh. But it was a little difficult to hold from the height over the counter. 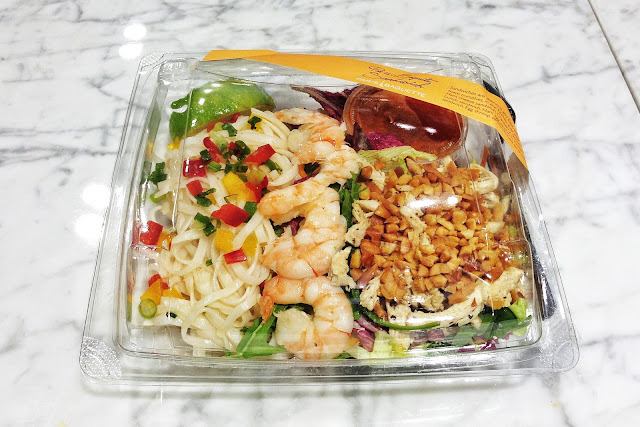 Pad Thai Noodle Salad [$8.50] - Ying's main. With everything mixed in, chewy noodles, fresh ingredients with the sweet sour sauce, it's pretty delicious. 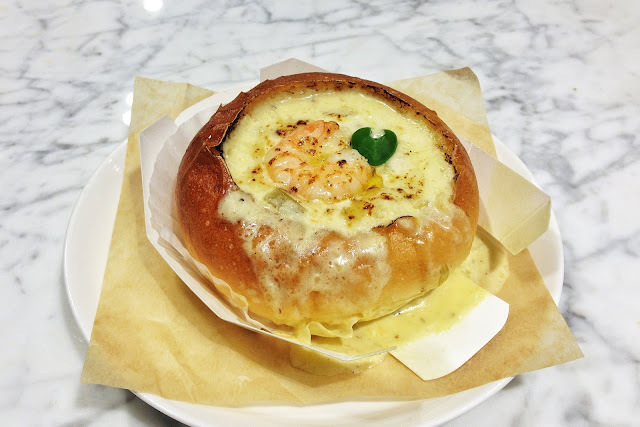 Seafood Chowder bread [$6.00] - My main. A little disappointed. The soup is great, with one fresh prawn. But the bread is sooooooo HARD. Difficult to pull apart even using both hands and difficult to chew too. HARD. Crunch Crunch Choco [$6.50] - I love this. Dessert. Treat from Ying. Chocolate cake with crispy coco balls in between the layers. Decorated with two grapes. Green is yummy, red was yucky sour with seeds. haha.. 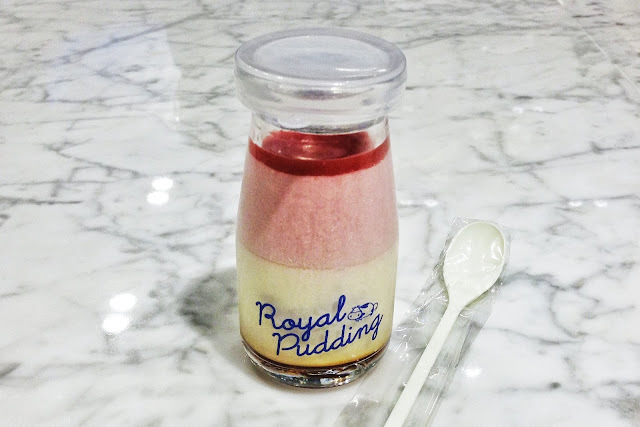 Strawberry Royal Pudding [$4.50] - Yet to try this. Bought this home for the hubby. Pretty and expensive. haha..